Ca N’Estruc is a family property located in a unique place, the slopes of the mountain of Montserrat, in the municipal term of Esparreguera (near Barcelona). The estate is one of the oldest properties –documented since 1574– and has lived in harmony with its environment for centuries. Currently, 22 hectares of vineyards are cultivated in this unique area –benefited and sheltered by this magical mountain–, from which full ranges of young and ageing wines are elaborated. 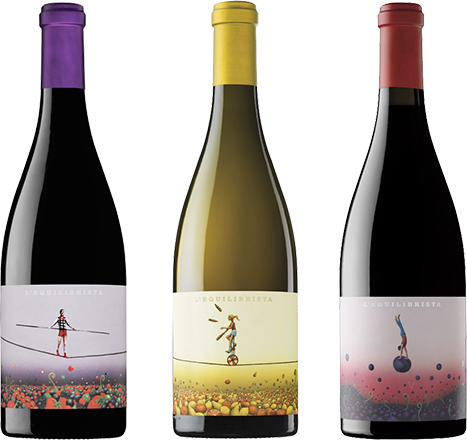 Ca N’Estruc is the first winery registered in the DO Catalunya, created in 1999, heir to a winemaking tradition with more than 2000 years of history. Ca N’Estruc, the “House of the Estruch”, is a property documented since 1574, intimately linked to the family name whose last carrier was Francisco Martí Estruch, grandfather of the current owner of the estate, Francisco Martí Badia. Until the 1960s, the traditional activity of the estate was agriculture and livestock. In its 40 hectares were cultivated vineyards, cereals, fruit trees, olive trees and an orchard, which was combined with the breeding of farmyard animals, such as pigs, rabbits and chickens, among others. It was self-sufficient and also had an oil mill, an oven to make bread, presses and a cellar. With a considerable production, the things that were not consumed were commercialized in the municipal market of Esparreguera. The winemaking tradition had been transmitted from fathers to sons until 1980. It was then when Francisco proposed to his father Andrés Martí to professionalize the exploitation. They started by developing half of the grapes following the traditional family system and the other half according to the guidelines proposed by a trusted winemaker passionate about the project. Realizing the improvement of the wine quality, Andrés delegated to his son the management of the estate and the cellar following the new parameters in the vineyard and the cellar. This fact marked a turning point in the estate, from that moment, a process of reconversion was started in the vineyard, and new plantations were there where none was. The traditional pruning system was also changed from head to trellis, and they selected clones for the best-adapted varieties to the area: xarel·lo, macabeo, chardonnay, white garnatxa, muscat, syrah, garnatxa tinta, carinyena, tannat and petit verdot. With the arrival of the nineties and realizing that the market of Esparreguera could not stand with the entire surplus generated, Francisco Martí decided to take a step forward and redirect the productions of the estate to devote himself exclusively to the vineyard and the production of his own wine. The renovation of the facilities, carried out in 2011, has allowed to improve the quality in the whole process of elaboration, achieving finer and more balanced wines. The installation of the cellar underground, built at different levels, allows working the vinifications by gravity, ideal temperature and humidity conditions for the wine ageing process. Besides of being fully integrated and respectful with the environment. The different plots surround the family estate and the cellar in the way of a bordelaise château, which facilities the transport of the grapes and their reception, keeping their freshness and aromas intact. Deposits of different sizes (2,500, 5,000, 10,000 and 20,000 liters) of stainless steel with temperature control allow separating the musts of the different vineyards, classified by age and variety, as well as elaborate them separately until the moment of the final assemblies. The wine has presses, destemmers, cold equipment for the control of fermentations, filters and all the equipment necessary for the current winemaking. The barrel room, all of French oak, has 225, 300, 500 and 2,500 liters of barrels from different cooperages. Since 2014, with the incorporation of Anna Martí, the eldest daughter of Francisco Martí, a new path begins in parallel with the elaboration of /Bi/: wines aged in amphora, completely natural, without additives and without mechanical intervention of any kind, and which are made with grapes from an agriculture that respects the environment. 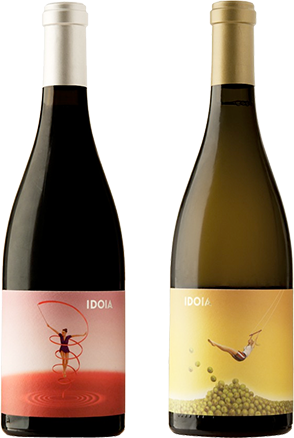 The elaboration of these wines of very limited production has marked a tendency towards the less interventionist elaborations and more natural, that has been applied to the rest of the wines of Ca N’Estruc. 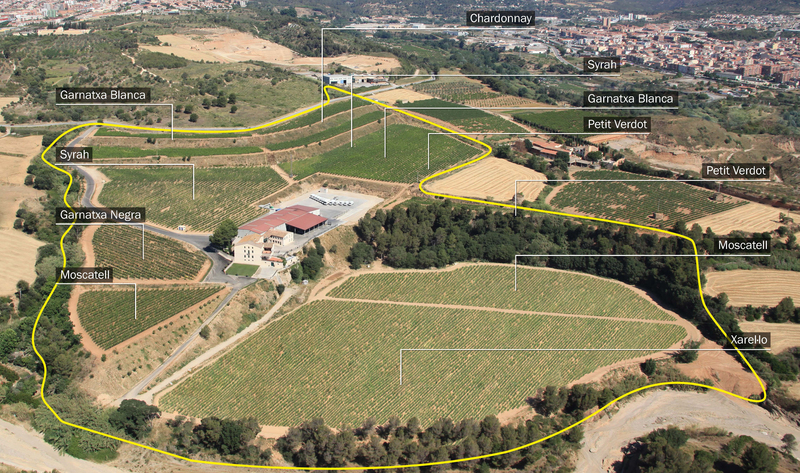 Currently, 22 hectares of vineyards are located in the estate at 165 meters above sea level. 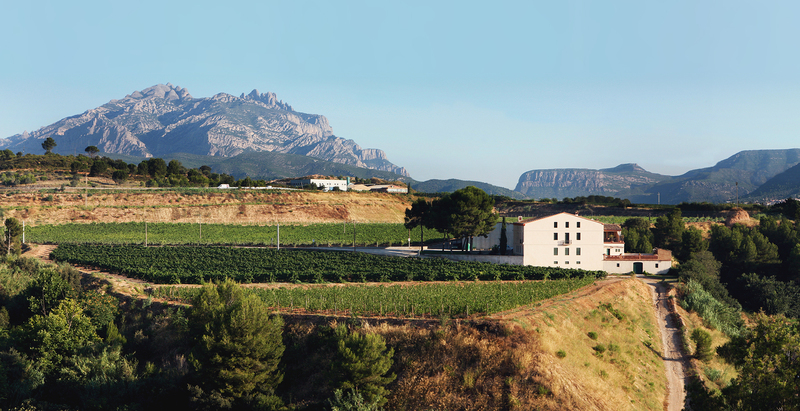 The estate enjoys a specific microclimate, sheltered from the cold winds of the north thanks to the natural barrier created by the mountain of Montserrat. This protection allows enjoying cool summers and mild winters with an average annual temperature of 14.1ºC. The alluvial terrain, clayey-calcareous and gravelly soil, favors the quality of the grape with low yields. The plantations are perfectly oriented, from north to south, to optimize the use of the sun, studying the appropriate planting framework in each plot according to the variety. The different plots surround the family house and the cellar. The most recent plantings are conducted in trellis, to favour a better ventilation, avoid the treatments to the maximum and get an unbeatable health in the plant. The oldest vineyards, with an average of 40 years, are still pruned in head, looking for sustained productions to obtain a grape of the highest quality. This careful pruning and clearing of grapes at the time of veraison, helps to achieve a more balanced fruit ripening. Likewise, Ca N’Estruc controls and acquires grapes from old vines, aged between 40 and 60 years old, selected from among the vine growers of the area, adding 20 more hectares to their own. 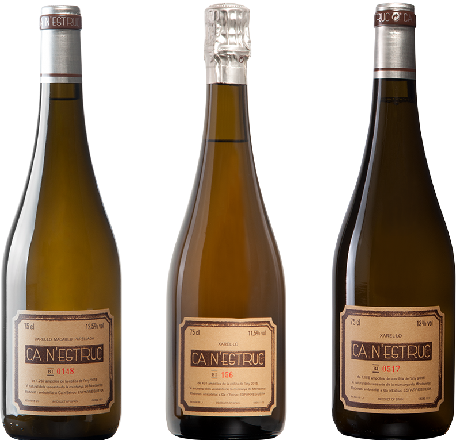 In Ca N’Estruc, autochthonous varieties coexist, such as the white xarel·lo, muscat, macabeu and white garnatxa or the garnatxa and carinyena inks, along with a wide selection of foreign varieties, but perfectly adapted as chardonnay, syrah, tannat and petit verdot, all of them with more than twenty years. New plantations are gradually being incorporated to produce the young wines of the cellar. Today, we present Ca N’Estruc wines at the Vineshop of Manchester with our distributor Boutinot Wines. Next June 11th, we will participate one more year at ‘Madrid Experience Verema’, at the Westin Palace Hotel. In America, making a route through Lake Michigan, Chicago, Illinois. The Equilibrista Garnatxa at Terra de Garnatxes Tastin tasting, at Omm Hotel in Barcelona. 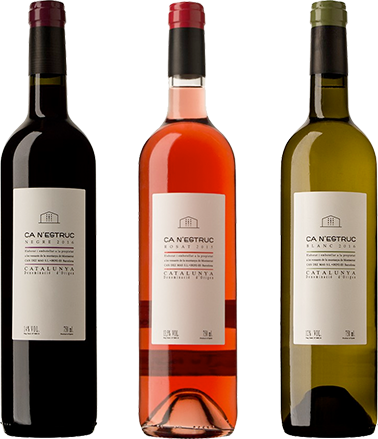 Ca N’Estruc’s wines are at the 9th Edition of La Música del Vi of Vila Viniteca. Today you will find us at the 11th Vila Viniteca Wine Tasting in Pairs Award at La Casa Llotja de Mar in Barcelona. We are visited by all the equipment of Pago de Carraovejas, Ossian and Ambivium Restaurant. We are going to Menorca to the 8th Mostra de Vins de Menorca. Until March 19th, you will find us at Prowein2018 at Hall 10, Stand A198. Today we are at the British capital, at the Boutinot Wines wine fair, in the QEII Center of London. At Ca N’Estruc we woke up with snowy vineyards. Ca N’Estruc wine tasting at Lancashire CC Old Trafford in Manchester. We participate in a magnificent dinner at Row with great sommeliers from Shanghai. With Idoia Blanc in a great tasting in Zhuhai, China. Our wines with more than 90 points in the Peñín Guide will be today and tomorrow in the Best Wines of Spain Fair.